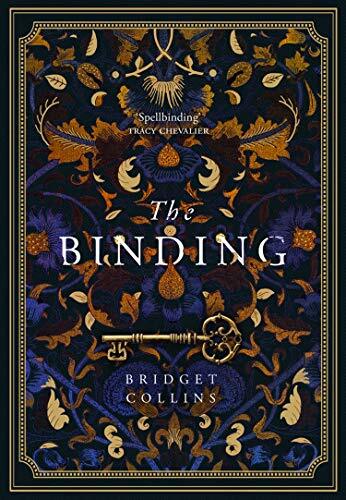 I was intrigued by the idea of The Binding by Bridget Collins. I enjoy a well written fantasy read. The idea that a binder could take away a person’s painful memories and put them into a book was novel to me. Certainly the opening chapter appealed and was powerful. We have Emmett, a boy working on his family’s farm, who is ill. He is to be apprenticed to an ageing binder against his will. Binders are seen by many as akin to witches and to be avoided and feared. The book is in three parts. The first part follows Emmett’s story in the present time. The second part looks at a time in the recent past again through Emmett’s eyes. The third part returns to the present time but looks at the story unfolding through another person’s eyes. The first part of this book I simply loved. After reading the first chapter I was sure I would enjoy the book. The writing was very good indeed and highly evocative. It took hold, gripped me and dragged me in. Underlying the narrative is a feeling that there are strange and maybe frightening things to be seen in the future but, like Emmett we have little control of our destinies. I found it increasingly hard to put down. I did enjoy reading the second part. If anything the writing became even more powerful though in a different direction. I found it a little long maybe. The third part felt inevitable and possibly less surprising than the earlier parts of the book. I was not expecting the direction the book took from the blurb. It is a hard book to review without giving things away though. Whilst this is both fantasy and historical in some ways it is really about love and relationships. I really did feel that the writing caught the relationship between Darnay and Emmett exceptionally well. It resonated deeply with me. I think those who are simply seeking a fantasy read may be less pleased with this story. The whole idea of “binding” is key to this story but not the “magic” of doing it. The importance – even pain – of our memories underpins this. It may not have been what I was expecting but I really enjoyed reading it. 4.5/5 for me.